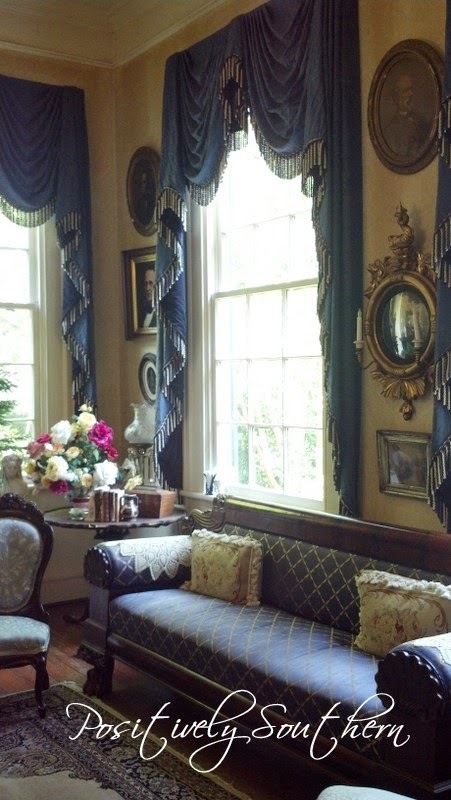 Can't help but be a little sad as I bring the close to my posts on the interior of Sweet Home Plantation. There isn't anything about this wall vignette that I don't love!!! When I visit older homes quite often I find that I get caught up in my own imagination of what life might have been like in that home. I can just imagine all sorts of scenarios. The dining room at Sweet Home Plantation is no exception! 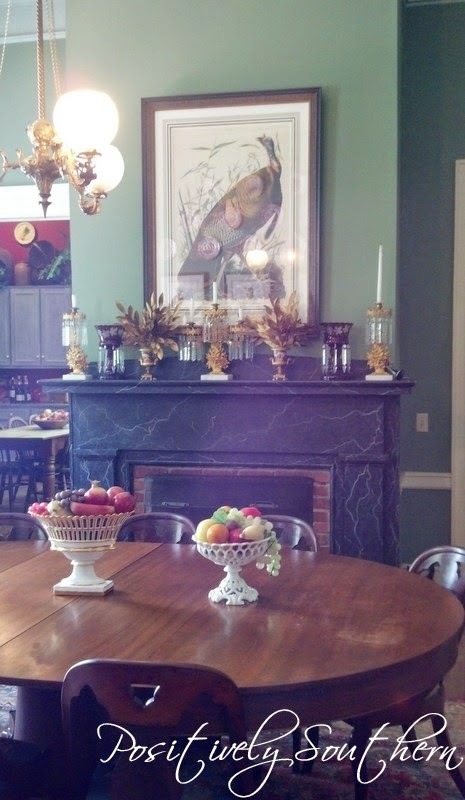 The marble around the fireplace is gorgeous and the itty bitty bit of brick that you see around it just sets it off. Today we continue our tour of Sweet Home Plantation. The parlor is a show stopper for sure. The window treatments are truly swoon worthy! The placement of the art in this room is impeccable. During the big tent sale that Sweet Home Antiques hosted this past weekend I asked the owners, Bruce & Phil if they would grant me permission to blog about their fabulous home. Insert a squeal of delight when they said YES! Their home has a name...Sweet Home Plantation, be sure to visit their website here to see beautiful pics and the services that are offered. 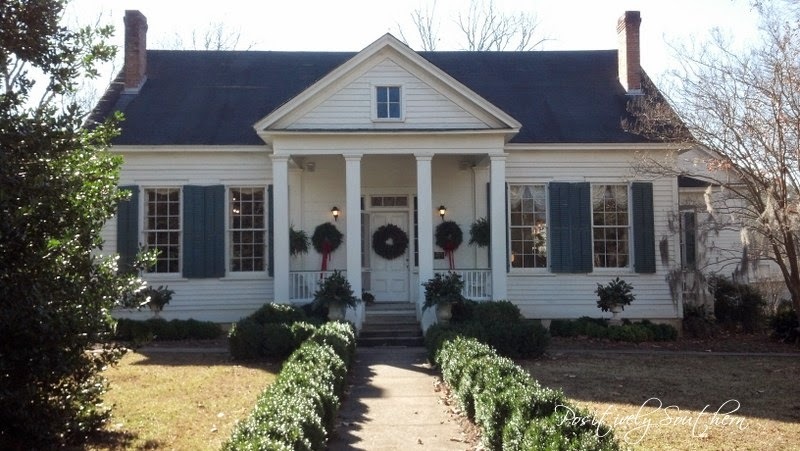 In this photo the home is all dressed for the Christmas Season. 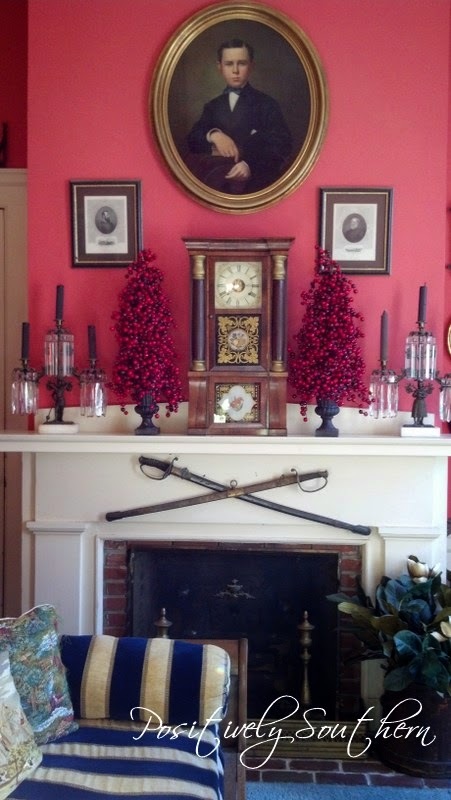 One area of the house I don't fuss over too much for Christmas is our foyer. Mostly, I just add garland to the banister. It is simple and I am good with that. Have I ever mentioned that I absolutely love dishes...aka china? My dear Mother in Law always says she can make me happy by giving me a plate! She couldn't be more right. That being said I must up front give thanks to Pie(MIL) for gifting me an eight place setting of Holiday Lenox Christmas china. .
Christmas morning has always been such a special morning. At our house the boys are opening Santa and there is lots of cooking going on. We all enjoy breakfast food so I try to make it an "affair!" Since we lived away from our family for over 17 years we learned to make simple things mean alot! When the boys were younger we'd put them to bed and I'd set the breakfast table so after they had opened Santa they'd see lots of pretties. This year Honey's family will be joining us for Christmas Brunch and the breakfast table will most likely look just like this!